Ponding Water & HVAC Units: Is There a Connection? 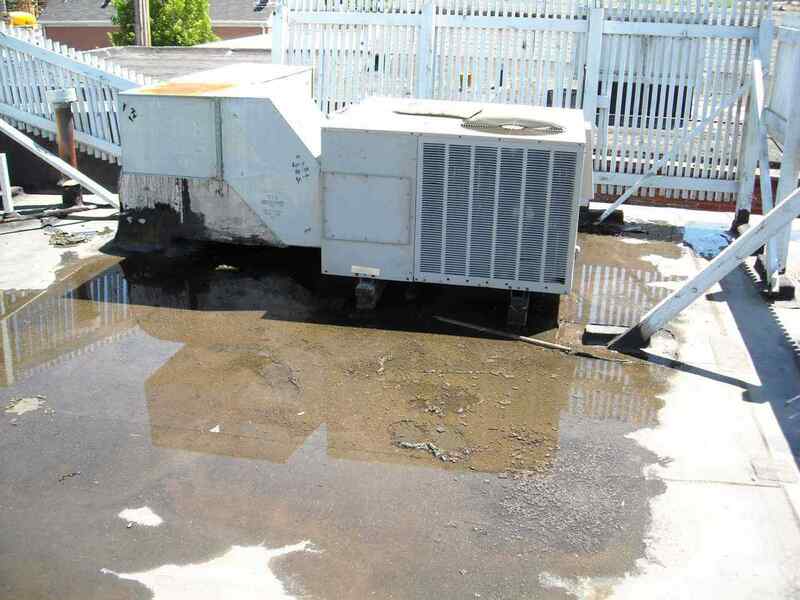 If you’ve got one or more HVAC units sitting atop your flat commercial roof, there’s a good chance you’ve also got ponding issues. 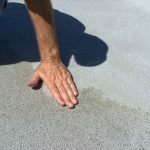 Every owner of a building with a flat roof is familiar with the problem of ponding — water accumulating in low spots on flat roofs. What you may not know, however, is that your HVAC unit may actually be contributing to the problem. 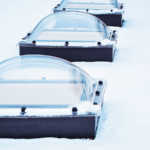 RTUs (roof top units) including HVAC units, skylights, cooling towers, etc., can contribute to ponding problems if they’re unprotected by crickets. Crickets are triangular structures designed to divert water around and away from obstacles like HVAC units. Without them, water can’t flow freely past the curb around the unit, and problems with standing water usually ensue. And don’t forget that it’s not only rainwater we’re talking about. Your HVAC unit also created condensation, which ideally will drain away and off your roof as it’s intended to. The next problem comes in the form of deck deflection caused by the weight of the HVAC unit. Improper installation (especially if installation took place a decade or more ago), can itself lead to low spots around the unit(s). And low spots, of course, mean ponding, a condition which, if not corrected, can damage your roof’s membrane, cause leaks and even structural damage to your roof’s underlying structure. Another potential issue with a rooftop HVAC (or any RTU) is that it can become an obstacle which traps debris, thereby hindering the proper flow of water to the roof’s interior drains and into the gutter system. Anything that disrupts the natural flow of water can lead to ponding. We’re not suggesting that you forgo installing your HVAC unit on your flat roof. After all, many building owners do just that in order to take advantage of out-of-sight, non-disruptive maintenance and repairs, to save valuable space in and around the building, and to eliminate noise. Just be sure that it’s properly installed with crickets in place to prevent water buildup. 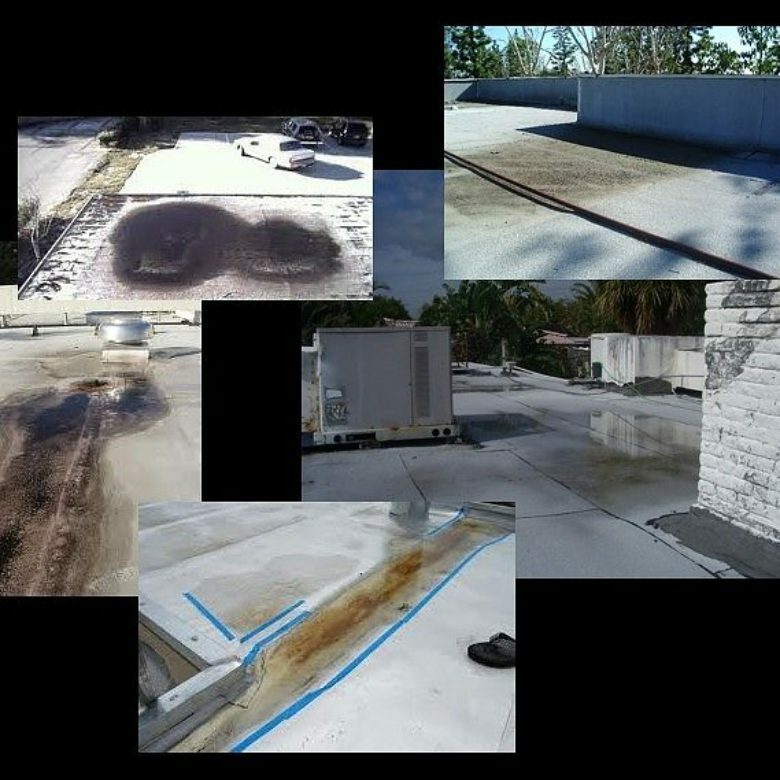 If your low-slope (aka “flat”) roof’s slope is disrupted, whether it’s caused by obstacles such as RTUs or has an entirely different cause, has developed a low spot or spots, it’s time to correct it. But first, you’ll need to make sure that your interior drains are in good working order, and your scuppers, gutters and downspouts are clear of debris, so that once you’ve restored proper slope, there won’t be any obstacles that may cause the ponding problem to quickly reoccur. Once you’ve restored proper slope to your building’s roof, you’ll want to avoid having to address the issue again any time soon. The best way to avoid low spots is with a diligent, regular maintenance program to fix small problems before they become large (and expensive) ones. Inspections should also be performed immediately following a heavy rainstorm. If slight ponding is detected, check again after 48 hours. If water remains, you’ve got a slope problem. 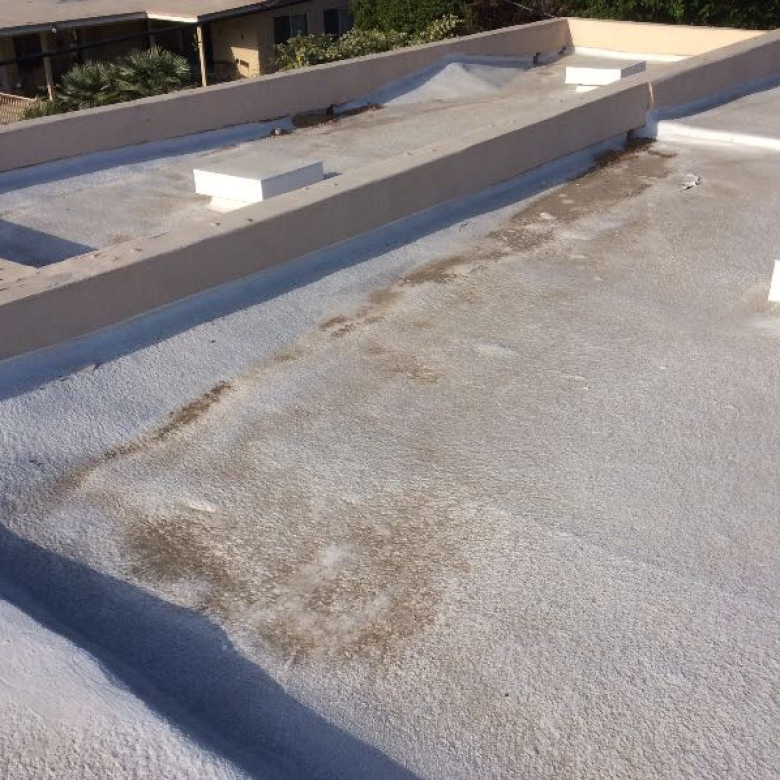 Keep RoofSlope® on hand and use as needed as part of your roof maintenance program, which should also include keeping drains, wall scuppers, gutter systems and other structures clear of debris and in good repair. If you’d like to learn more about RoofSlope® or find out the location of a dealer near you, please feel free to contact us. You can even request a sample to try it out before you buy!